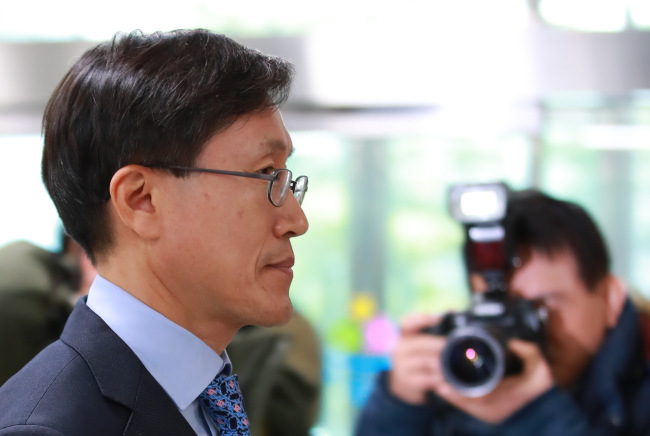 The prosecution's internal review board on Thursday called for the dismissal of one of its investigators under scrutiny over a string of alleged professional misconduct while working at the presidential office Cheong Wa Dae. The call from the review board of the Supreme Prosecutors' Office came after a monthlong review of Kim Tae-woo, an investigator at the Seoul Central District Prosecutors' Office. The disciplinary board of the Seoul High Prosecutors' Office will make the final decision on Kim.